Film director, producer, screen play writer and composer… He was born in 1961 in Bishkek, Kyrgyzstan. He graduated from high school of Min-Kush in Naryn in 1978 and soon pursued his degree in Russian Language and Literature at Bishkek Humanities University. After graduating he worked teaching Russian Language and Literature. His childhood and years spent as a teacher at rural areas later influenced his work as a film director and screen play writer. He started his career as a screen play writer while working as an editor of “Korogoch” Film Magazine. He debuted as a film director in 1993, with a short film “I bow before the spirit of Almanbet”. Two years later he became the winner of 9 awards at International Film Festival, followed by the Grand Prix of Gold Dionysus in Greece for his short fiction film “Taranchy” (The Sparrow). He became known internationally for his full fiction films “Saratan” (Hot Summer) and “Boz Salkyn” (Pure Coolness) and had received many awards. Currently, Ernest Abdyjaparov works as an administrative manager of his studio, editor, producer and screen play writer. Additionally he writes songs and composes music for his own films. He graduated from the Department of Business Administration of the Eskisehir Academy of Economic and Commercial Sciences. He had a television producing and directing education at the “Television Education Institute” of the same school and worked as a TV production assistant and a program producer. He became an assistant at the “Faculty of Communication Sciences” in 1979. He received the title of a Doctor of Communication Sciences in 1987. He worked at the USA San Francisco State University in 1989. He became an associate professor of Communication Arts in 1990 and a professor in 1997. During his time as the manager of his advertising agency, he has realized advertising and public relations campaigns for numerous private and public organizations for more than 10 years, with the help of his colleagues and students. He has many books, projects and articles on public relations and advertising. Prof. Dr. Haluk Gürgen was awarded with the “IAA Advertising Diploma” of the IAA (International Advertising Association) in 1992 and served as a lecturer at the Department of Advertising and Public Relations of the Anadolu University Faculty of Communication Sciences between 1982 and 2006. He was the Head of the same department between 1990 and 2006. He also served as the assistant to the Rector of the Anadolu University between 1998 and 2005. Having served as the Dean of the Bahcesehir University Faculty of Communication between 2006 and 2014, he is currently working as a lecturer at the Faculty of Communication of the same university. Graduated on the Faculty of Dramatic Arts in Belgrade. Editor, Producer, Director and Editor in chief of significant Television feature films, documentaries and film projects, on TV Sarajevo, German Television ARD, BHT1 and independent production company "Refresh Production." General Manager and Producer of the "Refresh Production", producing significant feature and documentary films, documentary and entertainment TV series, numerous promotional stories, TV and radio spots that have been awarded by important BiH and international awards and recognitions. He is awarded with numerous national and international awards. One of the founding members of the multi-media directing department at the Academy of Performing Arts in Sarajevo in 1989. Since that time he works as a teacher on Academy of Performing Arts in Sarajevo. Visiting professor at the University of Banjaluka and Pristina since 2007th. Dean of the Academy of Performing Arts in Sarajevo since 2005 to 2013. Megan Mylan is a New York-based documentary filmmaker whose work has been recognized with an Academy Award®, Emmy-nominations, Independent Spirit Award and a Guggenheim Fellowship. Through extensive social action campaigns, Megan's films have raised millions of dollars for charitable causes, motivated thousands of volunteers and informed public policy. She recently completed, Raça, a documentary on Brazil's unfolding struggle for racial equality. The film is currently in national theatrical release in Brazil. Megan directed and produced the Oscar®-winning film Smile Pinki broadcast on HBO and the Sundance Channel. Her film, Lost Boys of Sudan, had a 70-city theatrical release and a national television broadcast on PBS’s POV. Megan also directed Batidania on Brazilian resistance music and worked on a variety of films including the Oscar®-nominated, Long Night’s Journey Into Day and the Sundance Award winning film Sing Faster. Before beginning in documentary, Megan worked with Ashoka, an international development non-profit, in the U.S. and Brazil. She has a Bachelor’s from Georgetown University’s School of Foreign Service and Masters' degrees in Journalism and Latin American Studies from the University of California at Berkeley. She serves on the Academy of Motion Picture Arts and Sciences' Executive Committee for Documentary and recently served as guest director of the Documentary program at Berkeley's Graduate School of Journalism. With almost 14 years of experiences in broadcasting and creative works, Rosli is an active media practitioner in various media developing programmes as well as events management. Currently a producer in Magazine and Documentary Unit for Radio Television Malaysia (RTM), Rosli has already produced numbers of documentaries related to his passion for human interest, culture, environment and social economy issues. Rosli whom graduated from The School of Performing Arts and Media Studies, University of Malaya had received several awards such as, Best Broadcast Journalist, Best TV Journalist Seri Angkasa Award and Best TV News Coverage Seri Angkasa Award, Best Television Reporting Malaysia, Best Television Reporting… Apart from that Rosli also had received Best Television Documentary award and Certificate of Merit . He consistently contribute his write-up in several mainstream newspapers and magazines. Besides the busy schedule, Rosli also managed to published three coffee table books (RTM… Across the Dimension, Orchestra RTM Celebrating 50th Years and Commission of Education Services). As an experienced media practitioner/emcee Rosli had successfully handled many events, whether its officials or unofficial as well as corporate functions throughout Malaysia. Film festival programmer, film maker, lecturer, critic and curator. The Netherlands/Croatia/ Bosnia and Herzegovina. Held position of a mentor at the Master of Film at The Netherlands Film and TV Academy in Amsterdam. Head of the documentary film competition at Sarajevo Film Festival where she also founded and co-runs Docu Rough Cut Boutique. As a programmer and a program advisor associated with two biggest festivals in The Netherlands, IFF Rotterdam where she also participates on the selection comity of the festival’s Hubert Bals Fund and with the IDFA in Amsterdam. For several years, lectured on cinema at The University of Amsterdam at the Faculty for the film theory. Directed in The Netherlands films: Room Without a View, 1997, Soske, 2001, In Whitest Solitude, 2001, The Way to School, 2007. They were selected for 60 festivals worldwide, also screened and archived at MoMA New York and won several awards. Program advisor for Dok Leipzig , artistic director of the Eastern Neighbors FF , The Hague, that focuses on non EU European cinema. Documentary mentor and consultant at several international workshops/ pitching sessions. Published her articles and essays on cinema in various international film magazines and books . Served on juries of more than 40 film festivals in Europe and Asia. Nezih Erdoğan graduated from Eskişehir Anadolu University, Cinema and Television Department. He served in the production and direction of TV programs of Faculty of Open University. Following that, he received a scholarship from British Council and did researches in East Anglia University. He got his PhD in the field of cinema through his thesis on Cinemagoers. In 1991, his work titled “Cinema Book” was published. The articles he wrote about Turkish Cinema and American Cinema appeared in the journals such as “Toplum ve Bilim, Screen, Historical Journal of Film, Radio and Television, Geceyarısı Sineması, Postmodern Culture, Doğu-Batı” as well as in the compilations of the publishing houses like Routledge, Edinburgh University, British Film Institute. The work titled Shifting Landscapes: Film and Media in European Context, editorship of which was carried out by him together with M. Christensen, was published by Cambridge Scholars Press. His research project which he commenced on the initial years of cinema in Turkey was supported by the Ministry of Culture and Tourism. Mr. Erdoğan presented his works in that field during the conferences in Berkeley, Prague and Glasgow. In the framework of the events of “Istanbul 2010 Capital of Culture”, he prepared an “antique” video titled “Istanbul do/redo/undo Waters, Streets, Faces”, music and sound design of which was made by Çiğdem Borucu. He contributed in the production and direction of various documentary and promotional videos. His first novel “Elders are Burried in the Ground When They Die” was published by İletişim Publishing House in September 2013. Having worked for Bilkent, Bahçeşehir, İstanbul Bilgi and İzmir Economy Universities previously, Nezih Erdoğan recently lectures on “Scripting” and “Sound in Cinema” in Istanbul City University, Cinema and Television Department. He was born in İstanbul in 1972. He was educated in comparative literature, philosophy and social cognition. He did performance music and choral compositions of the Amateur theatre groups. His works Katakofti: Octet Mystery Stories was published by Simurg Publications in 2009 and Fiction Exercises was published by Sel Publications in 2010. He works about literature theory and manages a script workshop named as “Fictional Exercises” which invariant patterns for thousands of years has been committed, and he also writes experimental literature on fictional stories. For two years, he prepared and directed an art programme called “How you doin’?” and he also prepared and presented “Good Sense” programme on TRT1 Channel for a while. Since the year 2011, he has been preparing and presenting culture-art programme as “Kindred Spirit” for TV24 Channel. Tahsin İşbilen was born in Ezine in 1964. He started working on the production of commercial and promotional films in 1987. As he got to know the Documentary Film-Makers Association in the course of its establishment, he stepped into the world of documentary in 1997. He worked as director of photography and director for many international TV channels. As a freelance documentarist, he made more than twenty documentary films. 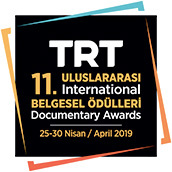 He won the Second Prize in the National Professional Category with his documentary titled “Asia Minor…Again” in TRT Documentary Awards which was first organized in 2009. Mr. İşbilen still carries out his works in İzmir. Examples from his works; İzmir...1922 (2012), Cradle and Lullaby (2011), Children of Mimas (2010), Longing for İstanbul (2010), Asia Minor...Again (2007), My Cretan Lemon Tree (2006), The Story of Three Brothers (1999), The Portrait of a Photograph in Motion (1997). Kamil Koç graduated from İstanbul University, Radio -Television-Cinema Department. In the television and cinema industry in which he started to work as an assistant director in 1997, he continued to serve as executive producer, scenarist and director. He was editor at Millenium Film Company for a while in London. He founded his own production company “Eskimezfilm” in 2009. He still works as a director and producer at Eskimezfilm, producing cinema films and TV works. He has published articles such as “ From Society to the Crowds, the Loss of Subject” ," The Reality of Television and Televisual Reality", " The Effects of Commercials on Television Program Formats", " The Spirit of the Epoch: Cinema" as well as a work titled “ A new Cinema is Possible” which is still in progress..
Kamil Koç, who is an academician at İstanbul Commerce University, is the General Art Director of International Boğaziçi Film Festival. She graduated from, Radio and Television Department of Gazi University, Faculty of Communication. She worked as a film editor, scriptwriter and producer-director in the short and documentary film and TV programmes at Film and Radio Television Training Centre of Ministry of National Education. Afterwards she worked at the Ministry of Culture as a Researcher of Folk Culture and Photographer in the research studies of Mediterranean and Aegean Region. Then she worked as Head of International Relations and Cinema Department at Ministry of Culture and Tourism General Directorate of Copyrights and Cinema. With the purpose of communication and cooperation, she ensured coordination of the common projects and works between the audio-visual sectors of European and Turkish cinema corporations. After she left the job from the General Directorate of Copyrights and Cinema, she worked at Ankara International Film Festival which is held by World Mass Media Research Foundation. She worked actively on the events and projects of Documentary Film Makers Association (BSB) which works in the area of cinema and documentary film. She is still working as a documentary film producer and a researcher. He was born in Istanbul, in 1972. He graduated from Faculty of Communication, Istanbul University. After the graduation, he began to work for ATV when the channel was first founded in 1993. Until April 2004, he worked as production director in ATV and he took charge as director, producer and supervisor in various programs. He is one of the founders of Turkey's first documentary channel İZ TV which was founded in August 2005. In addition to being the general manager, he is also the director and producer of many programs in the channel. In 2007, IZ TV was honored as Europe's best documentary channel in the 9th Hotbirds TV contest that was held in Venice, Italy. He is also a member of FİYAB (Film Producers' Professional Association) and writes weekly for Radikal Newspaper. Documentaries: The Big Story of the Little Fish: Hamsi, The Force of the Steppes: Kangal, Markets, The Awakening: Changing Lives in the South East, The Talent Scout: Gündüz Tekin Onay, Istanbul, Historical Peninsula, The Country of the Endless Blues: Bodrum, Kafka's Cafe: Prag, The Highway of Europe, The Artificial Reef, Being Young in Turkey, The Life Without Obstacles, The Compassion House: Darülaceze, The Dream City: İstanbul, The Journey of the Carpet, Aydın Boysan's İstanbul, The Newspaper Made of Stone, 9 Hot Spots, Tourism Kills the Tourism, The Miracle of the Modern Agriculture: NETHERLANDS, The New Face of the Europe: POLAND, The Power that Comes from the Unity: FRANCE, Destination Europe with Coşkun Aral, The Silk Road Train, The Cultural Heritages of Turkey, The World Diary with Coşkun Aral, The Secrets of War with Bedia Ceylan Güzelce, Gilindire Cave, Camili Biosphere Reserve, The Walk of Death: Srebrenica, The Tour of Bosna, The Journey to the Blue Danube. Born in 1967 in Eskişehir, Mesut Cem ERKUL finished Eskişehir Anatolian College and graduated from Ankara University Faculty of Political Science. He worked for Halk Bank between 1995 – 2003. He has served for Ministry of Culture and Tourism in different positions since 2003, he is currently the Director General of Cinema. Mustafa Savaş Güvezne was born in İstanbul in 1948. He completed his education at Electronics Department of Higher Technical Teacher Education School (1965-1969). He served at News Center of Turkish Radio Television Corporation. He also worked for some newspapers and news agencies. Along with his documentary works, he has served as the director of many TV programs, promotional and commercial films. He participated in many competitions and exhibitions at home and abroad with his documentaries. He was among the founders of Association of Documentary Filmmakers in Turkey (BSB). He chaired the International 1001 Documentary Film Festival for seven years. He has been working as the General Coordinator of International Side Culture and Art Festival for five years now. In 1985, he became the Director of Documentary Programmes. Meanwhile, he lectured on cinema in the Communication Faculty of Gazi University for a period. He served as the Deputy Director-General responsible for the Broadcasting and Programming between 2005-2008. He retired from TRT in 2008. He worked as the General Coordinator for the Board of Trustee of Ahmet Yesevi University between 2008-2011. Currently, he works as the Publishing Editor of ‘Kelime Publications’ which is in the process of founding. Having worked as a Member of Film Evaluation Jury for the Ministry of Culture for a while, Muhsin METE has worked as a Board Member, as the Deputy Secretary General and as the Secretary General for The Turkish Writers Guild. Currently, he is a member of the Board of Trustee for the Foundation of the Turkish Writers Guild. Moreover, he is a member of the Association of Ankara Journalists and has a permanent Press Card. He directed the documentaries such as Ulu Camilerimiz/ Our Great Mosques, Şairler Meydanı/The Poets’ Square, Ölümü Yaşayan Kent : Ahlat/Ahlat: The Town Which Has Lived The Death, Dünden Bugüne Ahilik/ Ahi Community: Its Yesterday and Today, Abdülhak Şinasi Hisar , Remzi Oğuz Arık , Arif Nihat Asya , Kaybolan Şehirler/The Lost Cities. Born in Kırıkkale in 1953. He graduated from Istanbul Academy of Economic and Commercial Sciences, Department of Cinema-TV at the Academy on Journalism and Public Relations. He wrote cinema critics on several newspapers and magazines. He published two cinema magazines under the names of “Mutlak Fikir Estetiği ve Sinema (Absolute Idea of Aesthetics and Cinema) (1976)” and “Sonsuzkare (Eternal Frame) (2003-2004)”. His later studies were the research book “Türk Sineması’nda İdeoloji/1977” (Ideology in Turkish Film-making) and poetry book called “Sıkı Tut Ellerimi/1993” (Hold My Hands Tight). Uçakan, had his first “directing” experience with the movie “Lanet” (The Curse) in 1978. He wrote the scenarios of many of his films. Among his studies, there are many feature films and documentaries along with some TV series. Thanks to his struggle for view-oriented and aesthetic plans, he stood alone against the deformities brought by the Western culture. He pioneered many developments in Turkish film-making: he tried the science-fiction genre for the first time in Turkish cinema with “Kavanozdaki Adam” (The Man in the Jar - 1978). He, again, was the first to criticize the judicial system in an era of dark censorship with the film “Reis Bey” (Mr.Chief – 1988). “Yalnız Değilsiniz 1 and 2” (You’re not Alone 1- 2 / 1990-1991) were the first reflections of headscarf drama on the white screen. He bravely criticized the recent history of Turkey focusing specifically on the Independence Tribunals with “Kelebekler Sonsuza Uçar / İskilipli Atıf Hoca” (Butterflies Fly to Eternity/ Atıf Hodja of İskilip – 1993). “Ölümsüz Karanfiller” (Immortal Cloves-1995) carried the unidentified murders to the screen for the first time. With his “Anka Kuşu”, (Phoenix -2007) he drew attention to salvation character and guidance secrecy of today’s Islamic monasteries. A member of Association of Film Directors and Professional Association of Cinema Works, the director owns many awards. Among his awards; Ministry of Culture “Success” Award and Writers Guild of Turkey “Best Director” award for his “Reis Bey”; Antalya Film Festival “People’s Jury” award and Writers Guild of Turkey and BİRSAD’s “Best Film” awards for his “Kelebekler Sonsuza Uçar”. Along with these, he has received the “Lifelong Honorary Award” from Erciyes University in 2011 and from Kırıkkale University in 2012. Besides his feature films and TV series, he has both produced and directed several drama-documentaries and many commercials-promotional films.